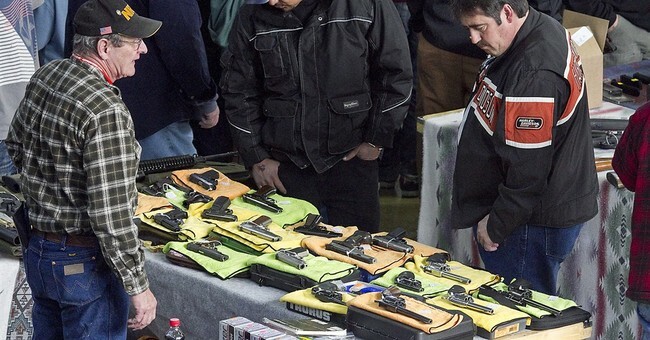 The trade association for the firearms and ammunition industry sued the state of California for enacting what it asserts are inoperable microstamping laws that deny citizens the opportunity to exercise their Second Amendment rights. “We expect to prevail because the law is irrational. It is unlawful to force a company to comply with a law that is impossible to comply with,” said Senior Vice President Lawrence G. Keane, general counsel to National Shooting Sports Foundation, the trade group based in Newtown, Conn.
“Microstamping requires a gun maker to put microscopic characters on the firing pin which are imprinted on the spent-primer or on the case and when the case is ejected because it has been fired, police could use electronic microscopes to read the characters and identify the make, model and serial number of the gun,” said Sam Paredes president of Gun Owners of California a non-profit lobbying organization formed to protect and preserve Second Amendment rights in California. The 10,000-plus group of firearm manufacturers, distributors, retailers, shooting ranges and sportsmen’s organizations is the first named plaintiff in a lawsuit filed on Jan. 9 in Fresno Superior Court that moves to enjoin enforcement of provisions of state law that forces gun manufacturers to implement microstamping on all newly developed semi-automatic pistols. Although the state legislature enacted the “Unsafe Handgun Act” and then-governor Arnold A. Schwarzenegger signed it into law in 2007, scholarly publications and a number of relevant studies demonstrate that the technology is premature, should not be mandated, and needs further study, said Keane. There is no manufacturing company in the country that is making microstamping-capacity firearms, he said. U.S.-based leader in firearm manufacturing and design Smith & Wesson issued a statement last week indicating that it does not and will not include microstamping in its firearms. “A number of studies have indicated that microstamping is unreliable, serves no safety purpose, is cost prohibitive and, most importantly, is not proven to aid in preventing or solving crimes,” the Smith & Wesson statement said. Keane said since it is unlikely microstamping provisions in the law would be overturned by the 120-member state legislature, victory in court becomes that more important. Paredes said, the state legislature might say the law will help fight crime, however all studies show that microstamping is flawed, ineffective and inconsistent. The vast majority of gun crimes are committed with stolen guns, said Paredes who has been involved with GOC for over 30 years. Even though the law requires that at least two companies have the ability to use the microstamping technology, there are no companies that are selling capable laser engravers with the programs required to generate the microstamping information, he said. There is no company in the world that uses or applies microstamping, he said.